There are a lot of interesting details in the code to study on. Like so much the blur shader and the fader transition between scenes. The game is another classic. 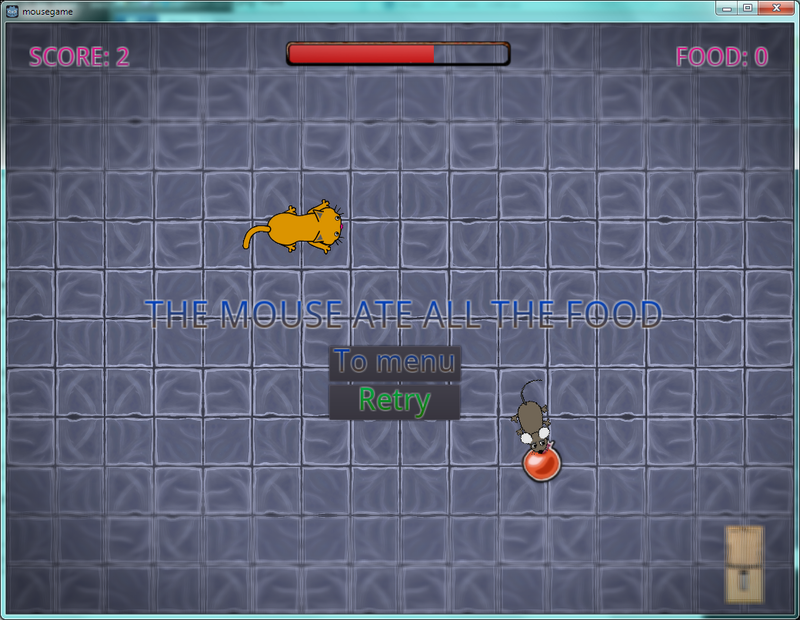 The mouse control is a bit hard (I admit that I pass to the keyboard quickly. :P). 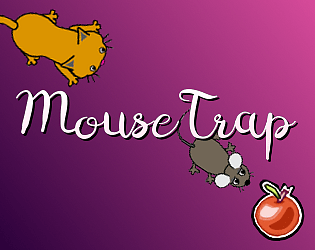 This game with more levels, obstacles and mice will be a very good game. The GPL code will remain here for the duration of the game jam, since it would be unfair to re-upload the binaries. After that I'll take it down since I wrote my own class to fade the screen (and with fancy transitions too). Additionally I was mistaken about the cat & mouse graphics being GPL (graphics from the Scratch project are licensed under CC-BY-SA). This should cover all previous GPL dependencies. The code in the git repository and the new code archive is licensed under the MIT license. 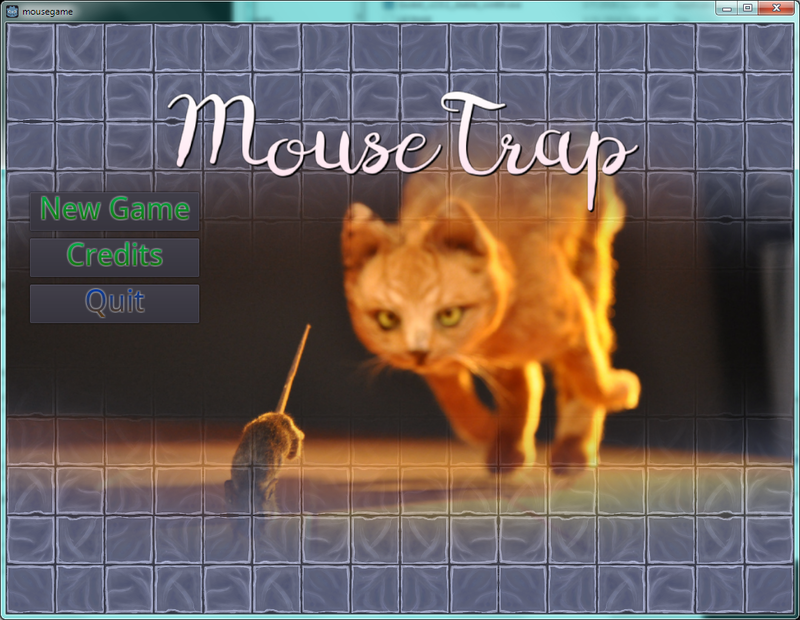 The gameplay is simple but still funny, and right in the theme ;) I was a bit puzzled by the mouse (device) controls though, the first few times I played the game I had the feeling that mouse controls were completely broken, and ended up playing with the keyboard. 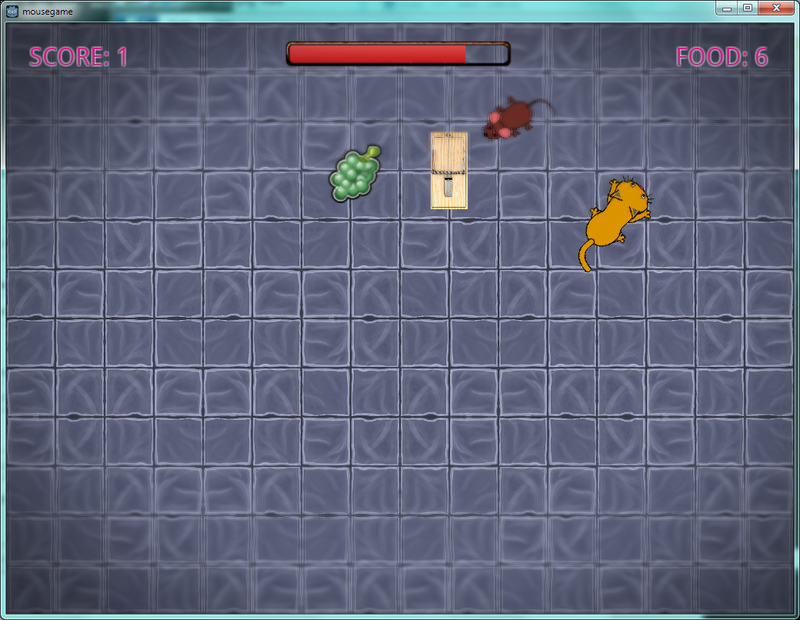 Then I read the source code and realised that once needs to press and hold the left mouse button to "drag" the cat towards a direction, which indeed works fine. It would be good to make it clearer in the game. Congrats on the very detailed credits in the LICENSE file too! The only missing thing is the actual license of your own code; as you're using GPL'ed code I guess your original code should be GPL'ed too. Why not a linux version ?